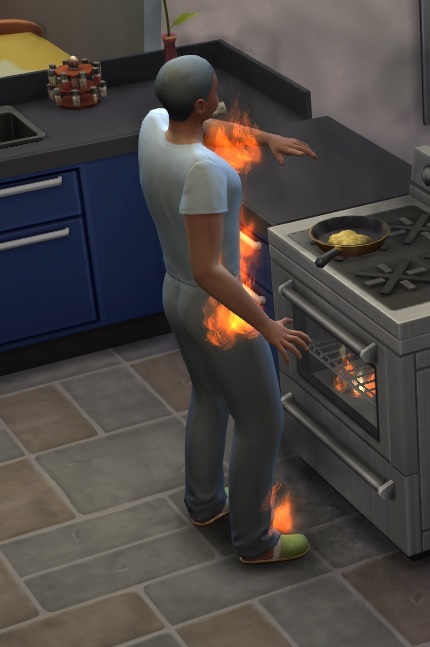 But first, Holdem almost burned down the house and Parcheesi wasn’t impressed. I still haven’t been able to replace the 4000 Simoleon stove, so the family is eating a lot of salads and fruit parfaits at the moment. And then, just as the kids were leaving for school a couple of days later, Gordon decided it was time to go to the great garden centre in the sky. Parcheesi pleaded to no avail. 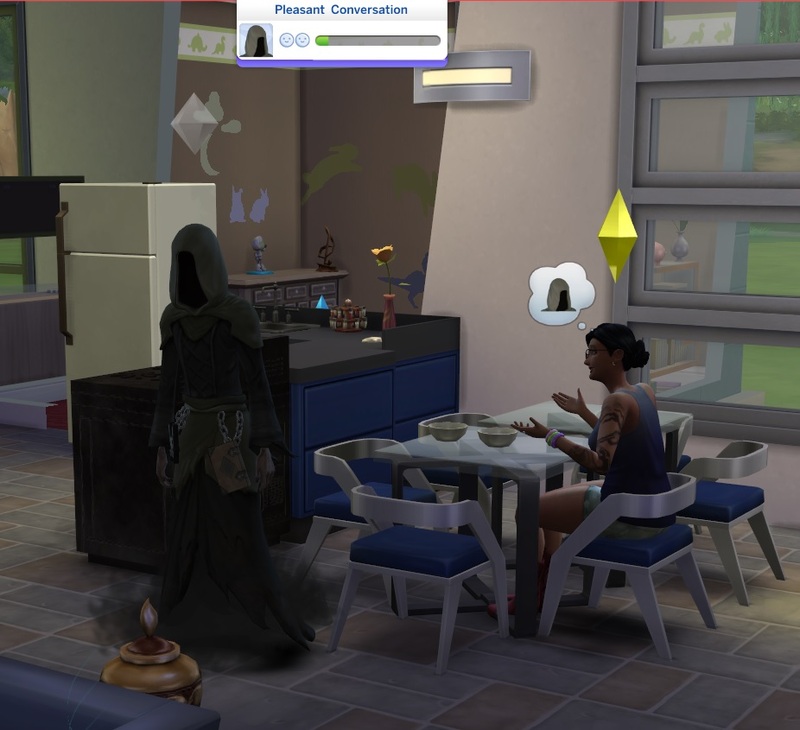 So what’s it like being the Grim Reaper? 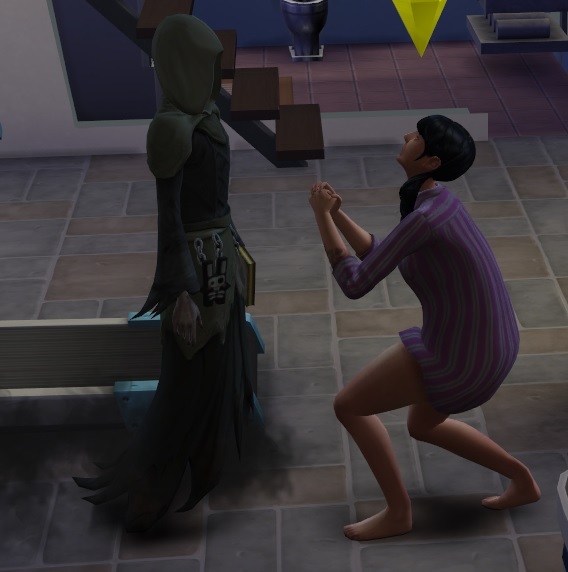 Is there a Mrs. Reaper? Like I said, the next generation will include at least two breadwinners. 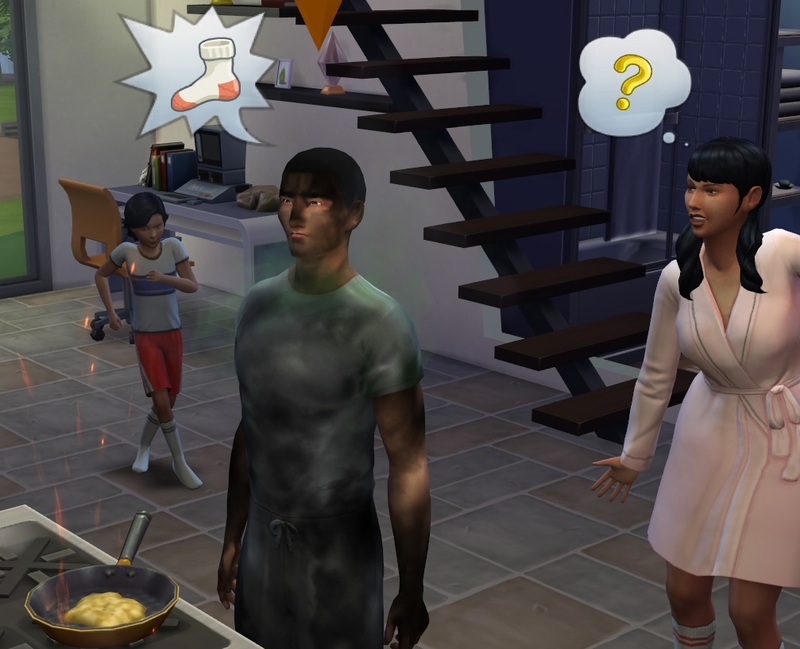 Seems to me that appliances in Sims 4 break ALL THE TIME, but perhaps that’s because I’ve got 5 people in the house using two bathrooms; still, it seems like I’m constantly replacing stuff. I *could* repair it, and I’ve started to do that, because replacing gets expensive. 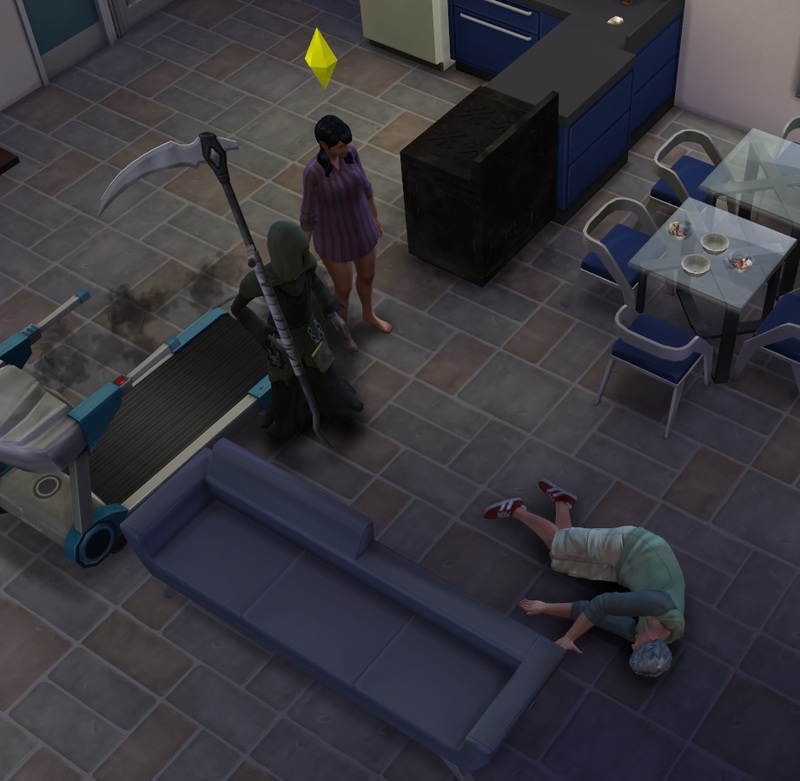 My biggest gripe at the moment is the stereo: it sits in the living room, every Sim that walks past it turns it on, but nobody ever turns it off… so it runs all night and breaks every second day. Anyway, there will be more earning next gen. Holdem is already sizing up young women in the hopes of finding a mate. Or maybe he’s just 16. Vale Gordon. Rest in peace.